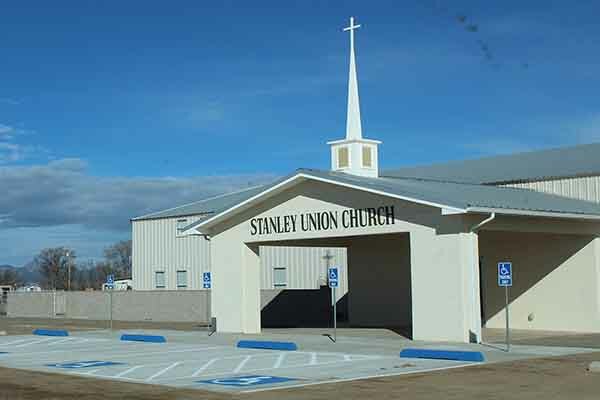 Over 10 years ago Stanley Union Church in Stanley, NM began planning to construct a new worship facility. Several options were explored including hiring a local contractor to turn-key the project. 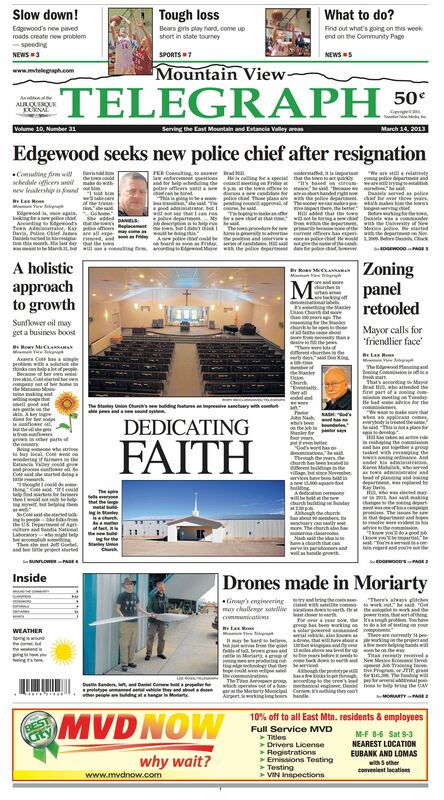 After reviewing proposals, performing a case study and learning more about church construction, the decision was made to put up a pre-engineered metal church building. Several companies and contractors were contacted for quotes and the journey began. The range of prices for a finished building was wild and it was very difficult to determine who to trust. 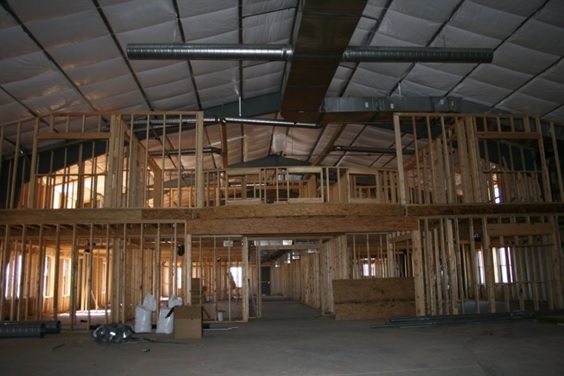 They realized early on if they purchased the church building kit direct from the manufacturer and used their own community labor they were going to be able to put up the size they needed with the amenities they wanted without going over budget. Early on during the initial planning stages a call was made to Prime Steel Buildings. It was clear to the building committee members that Prime was different than the other companies. They took the time to talk and help with the planning even though they knew it was going to be a few years before the project was going to become a reality. Rick Strand, from Prime’s technical services department was able to offer efficient cost saving design suggestions which helped to forge the path to constructing the church steel building and keeping prices down. Every step along the way the church was able to call in and speak with Rick and other members of the team to further their process in the assembly of the prefab church building. The church committee was able to establish the overall size and shape of the church based on what their funding would allow and then began working on the aesthetics of their worship facility. The congregation was involved in the design of the interior which they wanted to resemble an old-world mission and not look like a barn. The main room is a large Sanctuary that seats 250 people. Deep wood tones and attractive hardware helped to create a look that exemplifies pride in craftsmanship. 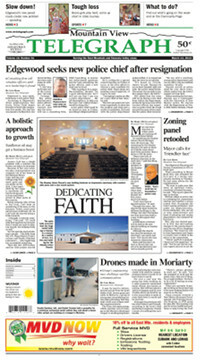 Congregation members “contributed their handiwork to the building while making an offering to the Lord” –Ginger Nash. The Stanley Union Church has a long history with many descendants of the founders still in the congregation. “Our new church has enabled us to provide room and equipment needed to tell people about our Lord and His saving grace. The Lord has provided us with good leadership and teachers to teach all ages and to reach out to the community. Our church is a beautiful structure” said Peggy Gerdes, one of the churches board members. The inside of the church was finished in stages the second floor and rooms were built out. A conference room behind the offices was outfitted with beautiful wooden cabinetry and an 8’ conference table. Framed art was hung on the walls and a pair of sconces flank a handsome beveled mirror. 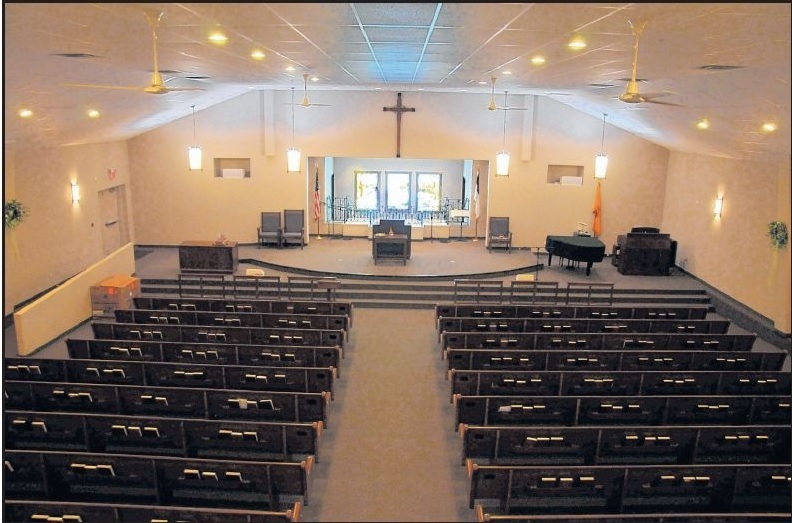 The floor covering, pew fabric and various lighting and restroom fixtures were chosen by a committee with much of the labor performed by congregation members. The majority of the furnishings in this room were found through auction, by donation, and some of the most loved pieces came from the estate of a dear church member who passed away. A bright and cheerful toddler room was created in the back of the building that was outfitted with crisp white cabinetry with rounded edges that is easily cleaned and safe for the children. A play table offers space for arts and crafts combined with an oversized carpet for the kids to comfortably play on helping to complete a welcoming atmosphere. A dedicated restroom complete with a toddler toilet eliminates the need to leave the toddler room which is extremely helpful during worship time. Stanley Union church is able to continue their legacy and long history of strong leaders and congregation working together in a beautiful house of worship. Call today @ 1-800-291-6777 and see what the Prime difference is all about!